TITUSVILLE, Florida -- The Titusville Police Department received a report of a sexual battery of a child on September 21, 2012. The investigation resulted in the arrest of 48-year-old Leon Booker, III for Sexual Battery of a Child under twelve-years-old. 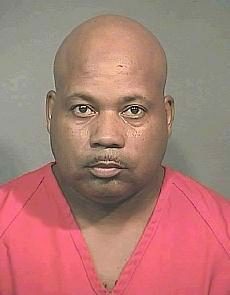 Police say that the investigation also revealed multiple other victims of sexual abuse by Booker over the last fifteen years throughout North Brevard County Florida. Although numerous victims have been identified through speaking to known victims, witnesses and Booker, there may be other victims who have not yet been identified. Anyone with information on any unidentified victims are encouraged to contact the Titusville Police Department at 321-264-7800.